When I was asked to participate in this campaign re-creating one of Dollar Tree Value Seekers Club featured crafts I immediately was drawn to the Spooky Apothecary Jars and knew just how to turn this rad craft into awesome learning! I use Dollar Tree all the time for craft supplies and even pop in just to brainstorm. Their new Dollar Tree Value Seekers Club is a free resource that updates monthly and is filled with craft ideas, recipes ,and other fun frugal tips. For the full how to check out Value Seekers Club and scroll down to the Spooky Apothecary Jars . I added in gummy worms, plastic creepy crawlies, and eyeballs. I also included a small chalkboard and chalk for writing down our estimations and results. I omitted the labels because I didn’t want to obstruct the view of the items inside. After gluing the jars to the candlesticks and letting them dry I filled the jars with gummy worms, plastic eyeballs, and plastic creepy crawlies. Invite your little mathematicians to come make some estimations! My kids were thrilled to see gummy worms so early on a Saturday morning. Open up the jars and empty out the contents. Count and record the result. We were close with the eyeballs and creepy crawlies but way off with the worms. Math can be fun and including a holiday theme is a great way to bring excitement to basic math. – Go to the Dollar Tree Value Seeker’s Club and sign up. – Come back here and let me know you did. Make sure that the comment you leave me uses the same email address that you used to sign up with them. That’s it! Don’t forget to read the fine print too. This sweepstakes is open to American residents 18 years or older. To be eligible for the sweepstakes you must enter your name and email in the comment form for this post. 1 winner will be drawn at random, using Random.org, after the sweepstakes closes on Sunday, October 27th 10pm PST. The winners will receive one Dollar Tree Gift Card valued at $100. No purchase necessary.The number of eligible entries received determines the odds of winning. Any information gathered through the sweepstakes including email and postal addresses will not be used in anyway other than contacting winners and shipment of winnings. VOID WHERE PROHIBITED BY LAW. This post was sponsored by Dollar Tree in connection with Blue Print Social. My son will so love the estimation jars. Signed up for the Value Seekers Club, a Dollar Tree gift card would be awesome! I signed up for the Value Seekers Club! 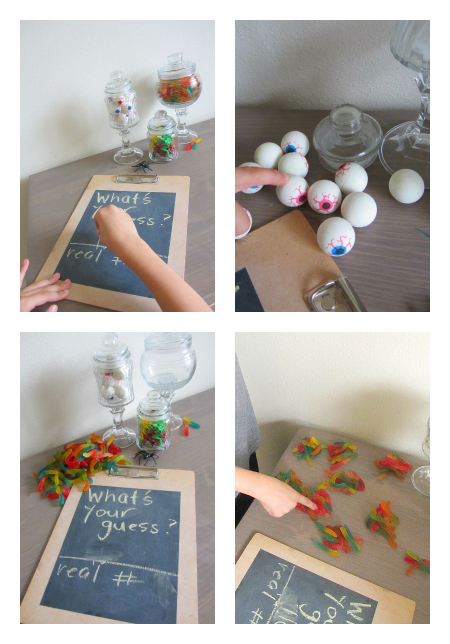 What a terrific giveaway, I love using the Dollar Tree for great activity finds for my kids. This would be really fun for my kids to do. I am a Value Seekers Club member. awesome–creepy, educational and fun all mixed together! Perfect! I signed up for the Value Seekers Club–Love, love, love the Dollar Tree! I signed up. I LOVE LOVE LOVE the Dollar Tree. Thank you for the opportunity-what a great giveaway :)I signed up! 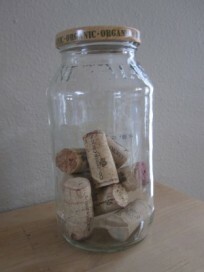 I love those jars and the whole idea! I also love Dollar Tree, and find many items there for Operation Christmas Child. Thanks! I could buy lots of OCC stuff with a $100 gift card! My daughter loves dollar bins. Signed up! I use their stuff all the time! I signed up for the Value Seekers Club! I would love to win. I could buy so many things for my on home daycare. The Dollar Tree is already a fun and frugal way to shop (their 2 for $1 cards are really nice) and the Value Seekers Club will make it even more fun. I’ve signed up for it. Your ideas sure are fun and I’ve been saving them for when my grandson is old enough to enjoy them. Thank you for all of your sharing. all signed up! I LOVE, LOVE, LOVE the dollar tree, actually planning to head there on my lunch break today! I signed up for the Value Seekers Club. Love it! Looking forward to seeing some great ideas! I love Dollar Tree, we get all our crafting and party supplies their. I also singed up for the Value Seekers Club! I LOVE this idea! Estimating can be an important skill and it is good for children to practice. We shop Dollar Tree all the time; I didn’t know about the Value Seekers Club! What a great resource – I just signed up. Thanks as always for sharing. Absolutely love shopping at the Dollar Tree. They so many great teacher as well as other awesome ideas for very reasonable prices! Signed up for the Value Seekers Club! Thanks for sharing! Thanks for doing this. I am always looking for craft ideas and use dollar tree to create the crafts. I signed up :). Some fun crafts are in our future. Cute idea! Love the Dollar Store!! I signed up! It seems cool! What an amazing giveaway, thank you! Oh, and I signed up! How cool $100 to the dollar tree! I have been shopping there a lot lately for school things. Super cool craft. I love Dollar Tree too and interested to see their craft suggestions! I signed up! Thanks for he opportunity. I signed up. Your website is fantastic and gives me lots of great ideas to use with our preschoolers. Thanks so much for sharing your creativity and knowledge. I signed up. I love Dollar Tree and would LOVE to win the gift card! Signed up – thanks for the giveaway! Signed up! Pretty sure my classroom already looks like an ad for the Dollar Tree, but with holidays coming around, a gift card would go a long way for craft supplies! I signed up immediately! I find so many amazing things for my Preschool at Dollar Tree. Thank you for the opportunity to win! How fun! 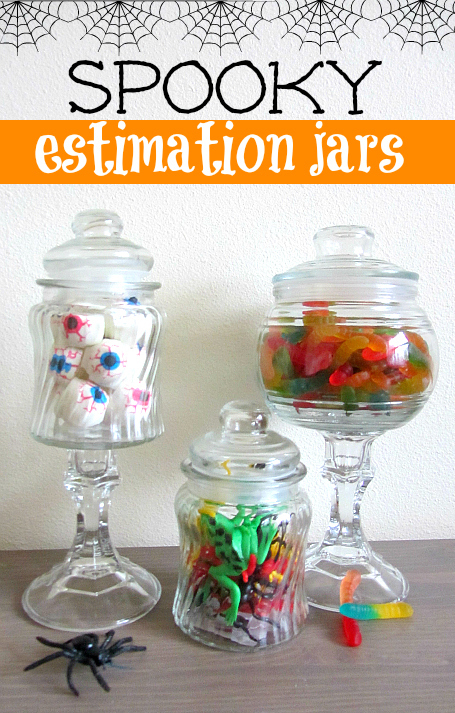 Love your estimation jars! love $ tree! signed up for club..thx. I have a Dollar Tree addiction! I love it for our sensory bins and am currently using their bugs and snakes for our Halloween sensory table. I signed up for the club, thank you! I signed up for the value club. Love the $tree for teaching resources. i love dollar tree especially now that i can buy groceries. I signed up and would love to win a gift card to the Dollar Tree! What a great math literacy activity! Signed up for the club–can’t wait to tell my mom–she works for Dollar Tree and always tells me when things come in that I can use for my storytimes! I signed up. That would go a LONG way at Dollar Tree and be fun to spend!! Just signed up, can’t wait to see all of the ideas! I work in a Pre-K room and work with 4th-5th grade in after school program, $100 gift card would be a blessing. Great activity! Joined the club and would love to win! I signed up! Thanks for the giveaway! Signed up, love the Dollar Tree. do a before and after school care. I’m all signed up. Looking forward to winning. Ha, ha!! Dollar Tree is my first stop for so many things. What a great idea for them to have an Idea Page. I’m a para so I don’t have any funds available for me to purchase my supplies. Dollar Tree helps me keep my outlay as low as possible and provide fun activities for my students. I have signed up for the Value Seeker Club. Thanks for the great ideas. I just signed up. Glad I found you and the club. Thanks! I just signed up for value seekers. Can’t wait to see what great ideas they have!! Dollar Tree = a teacher’s best friend. I just signed up for the value seekers club. What a great website! I am always checking out your blog for educational/craft ideas for my daughter. We absolutely love it! I was so exited when I found this website you posted with craft ideas for the Dollar Store 🙂 We go the Dollar Tree all the time looking for craft ideas and supplies… a $100 gift card would be AMAZING!! Thank you for the opportunity for a chance to win 🙂 We just signed up for the Value Seekers Club!! Happy Halloween!!! I signed up, then got lots of great ideas for my PreK classroom and home. Thank you for sharing, and for all of your great ideas!!! Yeah!!! I just signed up for the value seekers club. I shop @ the Dollar Tree stores for all my classroom materials and supplies. 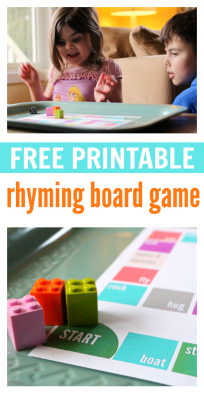 I have made so many fun/ creative DIY craft projects and games for my students with the endless ideas you can get with the lost cost items @ the store. THANK-YOU for helping ALL of the hard working teachers out there! No Time For Flash Cards is a wonderful resource…So happy to have found you. Love all the awesome ideas. Please keep them coming!!! I love Dollar Tree! Im all signed up!! Love the estimation jars! It would be a great activity for any party. I signed up for the value seekers. I signed up with my email neiddyruiz@gmail.com. Thanks for the chance to win! I signed up! I recently discovered Dollar Tree (where have I been?!) and bought all of my Halloween stuff there! Signed up for value seekers club. Love this idea! Thank you so much for the link. I signed up and already have a couple of ideas for next week! I love Dollar Tree too. It’s my ‘go-to’ place for supplies for school and crafts. 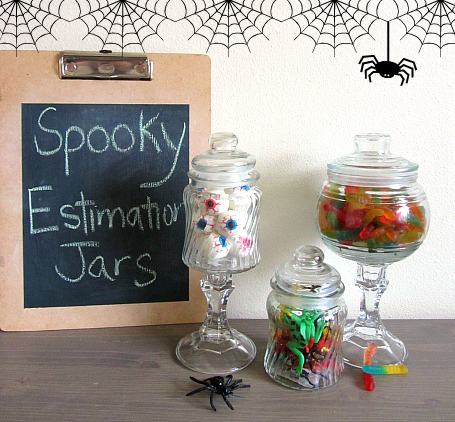 Ps…your spooky estimation jars are such a great idea! I signed up for the Value Seekers! I signed up for the value seekers. 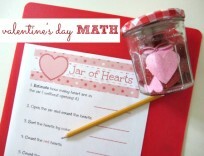 Love this math estimation activity! So much fun! Love Dollar Tree! It’s the only store where I can tell my kids that they can pick anything they want, since I know it’s all only $1. 🙂 Just signed up for the club, fingers crossed for that gift card!! I signed up. I didn’t realize they had that club – thanks for the info! I signed up for the value seekers club! Looking forward to winning the gift card I already have some great ideas in mind for the card! Signed up!! I Love Dollar Tree!! I signed up and I also think your jars are adorable 🙂 Great job! I signed up – I love dollar tree! I signed up – thanks for the giveaway!